Who doesn’t love the idea of shopping as you snuggle on your couch? Or as you relax with a cup of coffee after all the house chores are done? So the kids are off to school, the hubby is off to work, and you have already cleaned your house. You remember you need a new blender and grab your laptop. Then you sit down and start surfing the different marketplaces at your disposal. 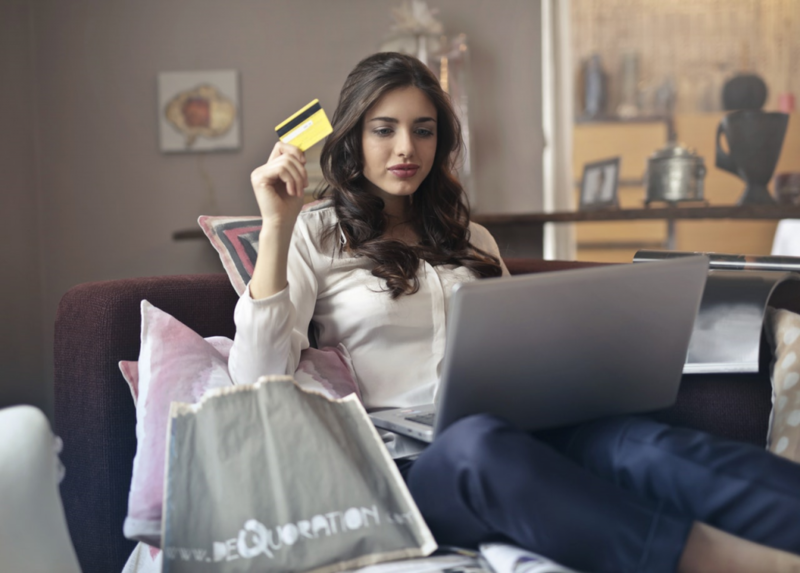 With the ability to shop from the comfort of their houses, every work at home mum is glad that they do not have to venture out to go shopping. This not only saves you the energy, but you also get more time to relax or do other things that matter most to you. Besides, raising a family can be hectic and exhausting. Still, how strong are your passwords? Are you the type of mum who uses the same passwords on all their accounts? How secure is your data as you surf and shop till you drop? If you have never thought about it, it is time you do. The online shopping industry is expected to hit $22.7 trillion by 2020. The bad news is, that is a lot of money exchanging hands, and criminals love these money trails. While shopping online offers you convenience, it also has its pitfalls. Over the past few years, there have been increased instances of hacks. Numerous online shoppers have lost their credit card details and seen hackers steal their identities. Imagine the financial burden you would incur if your data was stolen and used to pile up debt. As a consumer and according to security experts, your first line of defense is your password, which is why you should always use a strong password. However, there is a misconception that strong passwords are hard to remember. To some extent, there is some truth to that assumption. The downside is that passwords that are hard to recall force you to write them down – an absolute no-no. Even as we look at the best practices for having strong passwords, you should also be familiar with the Payment Card Industry Data Security Standard. This is especially important for those who use credit and debit cards as they shop online. With time, hackers have also caught up with what was once thought as strong passwords. Take for instance a password with special character substitution like “Tr0ub4dor&3”. A study found that it took a paltry 3 days to crack this password. However, when the password was a long passphrase “pass wonderfully secure phrase”, the same study found that it would take 550 years to crack it. Two-factor authentication is no doubt one of the safest practices to keep passwords safe. This works by sending a unique code to your phone via text every time you log in to a portal. Even though you also need your email address and password, without access to the 2FA code, it is impossible for hackers to access your accounts. Another strong password best practice is to use a password manager to store all your passwords. Yes, recalling numerous complex passwords is no easy task, and that is where password managers come in handy. Using a password manager is easy, and they are the most secure options there are as far as storing strong passwords go. Other than the above, regularly checking your bills and statements is a good practice so you can flag transactions that look out of place. In the end, the first thing you need to do is ensure that your password is strong and only accessible to you.